Honestly, making some more art for my kitchen was a last minute back-up plan. I ventured into the world of natural dyes for some white placemats I thrifted a few weeks ago. I wanted to dip dye them in green. I used grass, peppermint, leaves, and spinach and followed the instructions. And nothing. Not even a minty glow. Oh well. I’ll try that again soon. As far as my inspiration for my little kitchen mantra, it comes from a few places. The Internet is a finicky place, and someone left a weirdo comment on my friend’s blog, to which someone quickly responded, “Haters Gonna Hate.” Of course that’s not the first time I heard that, because haters always be hatin’. It was just in my head though, and then on dear ol’ Pinterest I saw this lovely sentiment right when I had a brush in my hand and was ready to figure out what I wanted to paint. 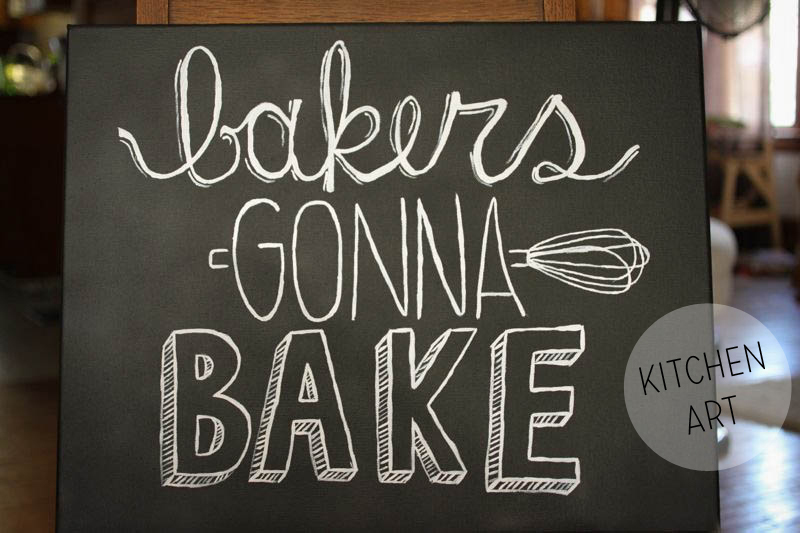 Well, if haters gonna hate and lovers gonna love, bakers are certainly gonna bake. Painting is definitely not the easiest medium for me, as far as hand lettering things go. I’m more of a pen and paper kind of gal. But this paint thing was pretty fun, and super simple. My one regret is that I should have make the ‘b’ in ‘bakers’ a capital letter. I’m afraid it looks like “lakers gonna bake” and that just doesn’t make sense. Ah! I love this! So cute. You’ve got type skillz. It read “bakers”, not “lakers” to me before I read your comment. It’s great. What a unique and creative project. I love the idea behind it, but even more I love the results. It turned out lovely. Nice work. Love it! 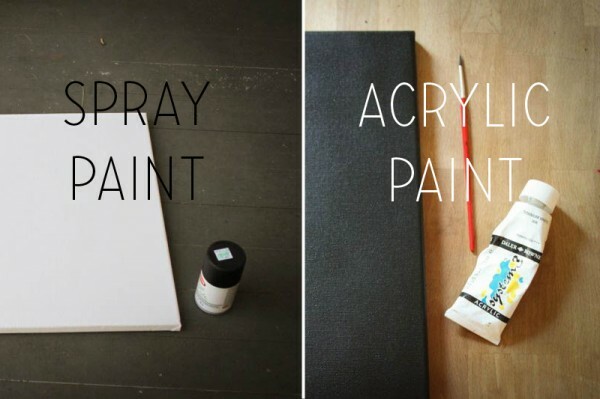 I actually thought this was chalk on chalkboard… way to be sneaky (and permanent) with the acrylic. And I didn’t read “lakers” either, so no worries there. Thanks for the sweet comments, glad no one is confused about lakers baking stuff.